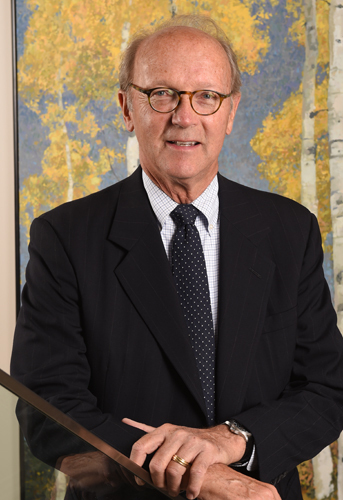 John Ashton’s 40-plus years of experience in a multitude of settings around the U.S. has resulted in successful outcomes in such diverse areas as products liability, trade secrets and intellectual property litigation as well as complex commercial real estate and contractual litigation. John has over 40 reported cases covering a spectrum of matters for both plaintiffs and defendants. These matters cover a breadth of clients from large Fortune 100 corporations to individuals with problems based in their own neighborhood. He has handled numerous intellectual property lawsuits for both plaintiffs and defendants involving patent infringement, trademark violations and other trade secret disputes. He has handled class action litigation and successfully represented both plaintiffs and defendants in complex commercial litigation with jury trials lasting for many months. John has been trial counsel in major mine disasters, patent and trademark infringement litigation, products liability claims, class actions and has represented clients throughout the U.S. in litigation in such diverse locations as Georgia, Illinois, Ohio, Nevada, Idaho, Colorado, California and Utah. He is a member in good standing in the U.S. Supreme Court, six U.S. Courts of Appeal (1st, 3rd, 10th, 11th, D.C. Circuit and Federal Circuit), as well as Federal Courts in the states of Utah, the District of Columbia, Illinois, Georgia, Colorado, Ohio, Idaho, Minnesota and Michigan. John is currently the Chairman of the Judicial Performance Evaluation Commission, having been appointed by the Utah Supreme Court, and has been involved in the process of evaluating the performance of the state’s judges for more than 25 years. Since 2006, he has been a fellow in the American Bar Foundation, which is an organization limited to a fraction of one percent (1%) of the Utah Bar. He has been consistently ranked at the highest levels of such peer rated organizations as Chambers, Best Lawyers in America, Mountain States Super Lawyers, Martindale Hubbell and other similar ranking organization. He received his BA from Stanford University and his JD from the University of Utah, where he served on the Utah Law Review. Successfully represented a major Utah ski resort in a two-month jury trial that resulted in a jury verdict in excess of $54 million for the client which was affirmed on appeal. ASC Utah, Inc. v. Wolf Mt. Resorts, Sup. Ct. 309 P.3d 201 (UT 2013). Successfully represented the plaintiff class in a jury trial against a major national financial institution which resulted in a judgment in excess of $16 million that was affirmed on appeal. Ford v. Am. Express Fin. Advisors, Inc., SUPREME COURT OF UTAH, 98 P.3d 15 (UT 2004). Represented a national equipment manufacturer in a three-month jury trial involving the Willburg Mine disaster resulting in a favorable judgment for the client. Represented a major drill bit manufacturer in a trade secret and unfair competition jury trial in federal court that resulted in a favorable verdict for the client. Represented a utility co-op in disputes concerning involvement of one of the members of the co-op and compliance with the contractual terms of their agreement with the organization. Represented a manufacturer of large underground mining equipment in several products liability lawsuits that were successfully resolved. Successfully represented a local retailer in a three-week jury trial alleging patent infringement. Acted as an expert witness in a major national intellectual property lawsuit filed in Utah federal court on the issues of litigation procedures in complex intellectual property matters that was favorably resolved for the client. See Brigham Young University v. Pfizer, Inc., 262 F.R.D. 637 (Utah 2009).